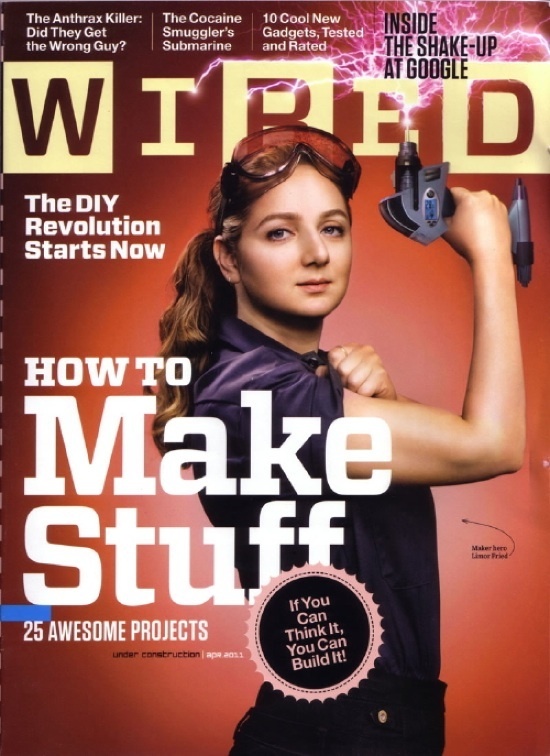 A photograph of Limor “Ladyada” Fried entrepreneur and owner of Adafruit Industries. Our society is becoming more advanced technologically everyday. It only makes sense that our education system advances along with it. Pencils and exams are so 30 years ago. The infusion of the maker culture into our education system is a must and the time is now. Examples of successful makers can be seen across the country including maker pioneer Limor Fried. After all, we wouldn’t teach kids how to play football by lecturing to them about football for years and years before allowing them to play. And if education is about the “lighting of a flame not the filling of a pail” — we should be putting the tools of discovery, invention and fabrication at the finger tips of every child — inside and outside of the classroom. What does all this mean for an educator such as myself. HANDS ON LEARNING. As a future physical educator this idea is already an important aspect in my teaching. “Learn by doing” as I was told in my youth. Making culture is not limited only to the gym space. I can recall being first introduced to fractions by sitting in a class eating pizza. At the end of the month we were making our own pzza pies and dividing it into fractions. The ideals behind the maker culture are not new just forgotten by the masses. As the abacus became old and outdated so have standardized testing. There’s a wealth of untapped potential in todays technology and the maker culture is bringing it to the forefront. Why make? Why not? Jst take a look atAndrew Carles’s “maker” elective class at Flint Hill located in Northern Virginia.